If you are looking for a peaceful neighborhood with a rich historical foundation and brownstone look, welcome to Cobble Hills! What we have here is an upper-middle-class neighborhood tucked well into the Brooklyn scenery. 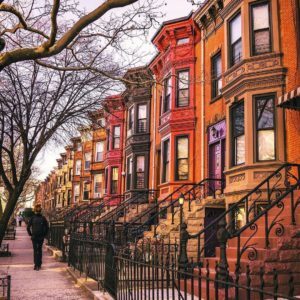 Even though Cobble Hill has that small-town vibe evident in the mom-and-pop stores and Italian influences that dot Court Street, it still has an elite real estate status in comparison to the rest of Brooklyn. So whether you plan on purchasing or renting housing here, it is advisable that you save money on Cobble Hill movers and wherever else possible. We are about to discuss hiring an ideal Cobble Hill Moving and Storage Company for just the right price. Capital City Movers can offer just that – full NYC relocation services at affordable and negotiable rates. 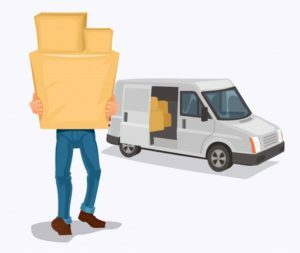 Ensure that your Cobble Hill Moving and Storage experience is the best possible by hiring the best of the best NYC movers. The last thing anyone needs is for their relocation to Cobble Hill to be a trial run for the mover they hired. This means that if your “professional” NYC mover expresses that this is their first year of conducting moves, you should probably re-think the decision to hire them. 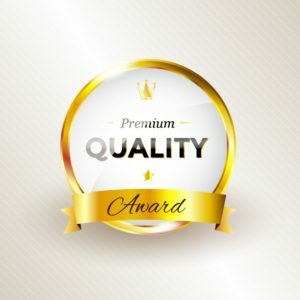 What you need is a well-known moving company Cobble Hill, with a great reputation and the utmost amount of professionalism. This is simply another way to guarantee that your relocation will be handled with the best care possible. And with over 20 years of relocation experience behind us, you will hardly find a more qualified company than Capital City Movers. We offer only premium and 1st prize winning moving and storage services. Moving companies in Brooklyn thrive on a happy, satisfied customer base. In case you want to learn more about the company, it should be in a position to furnish you with a list of clients it has served. Furthermore, through the customer reviews, you should be able to learn more about the service. Reading up on reviews can save you a lot of money and effort when searching for a Brooklyn moving company. With Capital City Movers, not only will you find a high-quality Brooklyn mover but also positive reviews from previous customers. And it is exactly from this type of experience that you can learn how different moving companies in Brooklyn work and decide for yourself which one to hire. Bonus round – we will even offer extra points for those that decide to share their experience with friends and co-workers that plan to relocate. Full-service movers have the necessary licenses to conduct their services issued by the state and federal authorities. Before you go out and hire an expert mover, it is important to find out whether the company has the proper license. Capital City Movers have this and much more – given that we are “A” rated with the BBB. We employ only the best movers and use only high-quality tools and supplies. Loading & unloading equipment etc. After all, you want your belongings relocated and preserved just as much as that brownstone home you are moving into. And that is why this Cobble Hill Movers Company is the best fit for you. With a number of well-motivated and skilled employees as well as moving necessities, we will ensure a smooth relocation for you and your family. A reliable moving company should be ready to visit the home in order to undertake accurate cost estimates. The company must be in a position to show the amount of money you need to pay before they render their services. This way you are confident that there are no surprise fees or hidden charges. Everything that can be done to prevent the damage will be done by the best Cobble Hill moving and storage professionals you can find. We know that because we only employ the best of the best moving experts in NYC. So this is what guarantees that the packing process is perfectly conducted for each and every one of our customers!